The word meropeng in Setswana means “to come back to your place of origin”. 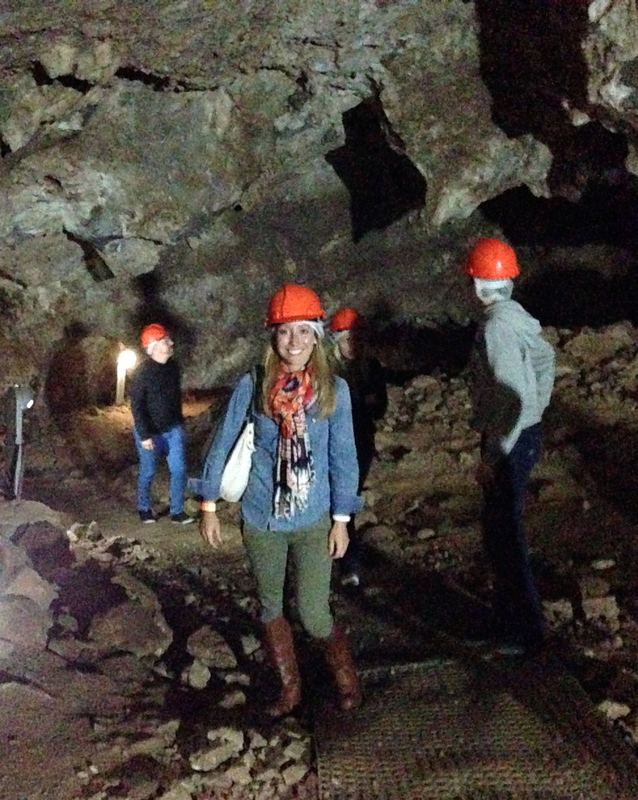 Today, Dr. Bennett and I visited the Cradle of Humankind, a series of caves in South Africa that comprise an archeological dig that has produced some of the oldest hominid remains in the world. Some of the hominids, or bipedal primates, that have been found in these caves have contributed to the theory that all human ancestors originally came from Africa. Therefore, when we visit Africa, we all come back to our place of origin. Fossils found in the caves were on display as we picked up our helmets and met with our guide. The caves themselves are not thought to be the former homes of the hominids found within their rocks. It is thought that our earliest ancestors, at less than 1.5 meters in height, were unable to see over the tall grasses of the savannah, and fell into openings in the caves. Upon our arrival at the caves, we were outfitted with helmets, and descended deep underground where the temperatures quickly dropped. Miners looking for gold initially discovered the caves. While they didn’t exactly find what they were looking for, they did realize that the caves were rich in limestone. The miners used explosives to remove large quantities of the limestone, which destroyed some of the stalagmites and stalactites that would otherwise be present. The fossils were discovered by accident, in some rocks that were dislodged during the mining process. As the explosives damage the fossils, mining operations ended, and now all archeological digs occur using small dental drills. To access the deepest parts of the cave, we sometimes had to crawl on our hands and knees through tunnels only 1 meter in diameter. There are still bones contained within the calcified rock, and some animal vertebrae were visible on our way out of the caves. 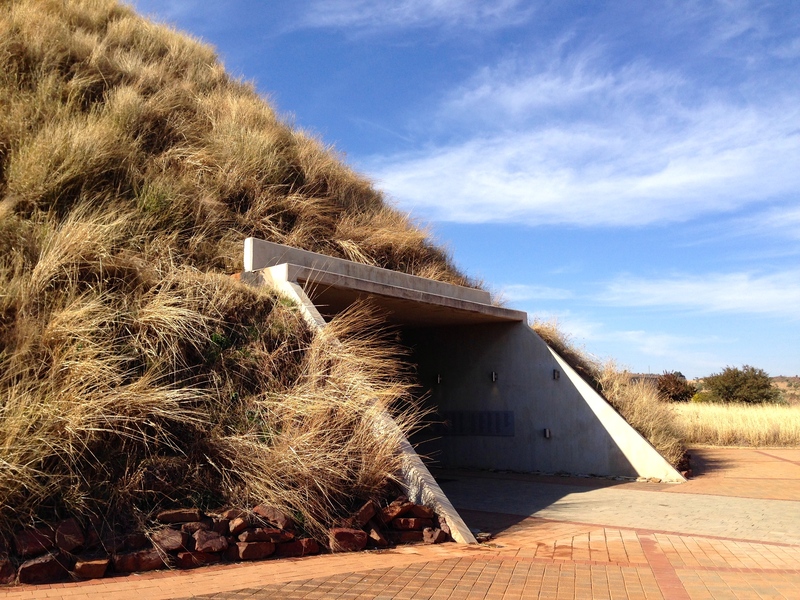 The museum is designed to resemble a traditional African burial mound. After the caves, we visited the museum, which is buried under a mound of dirt and covered in tall grasses to mimic the structure of ancient African burial mounds. 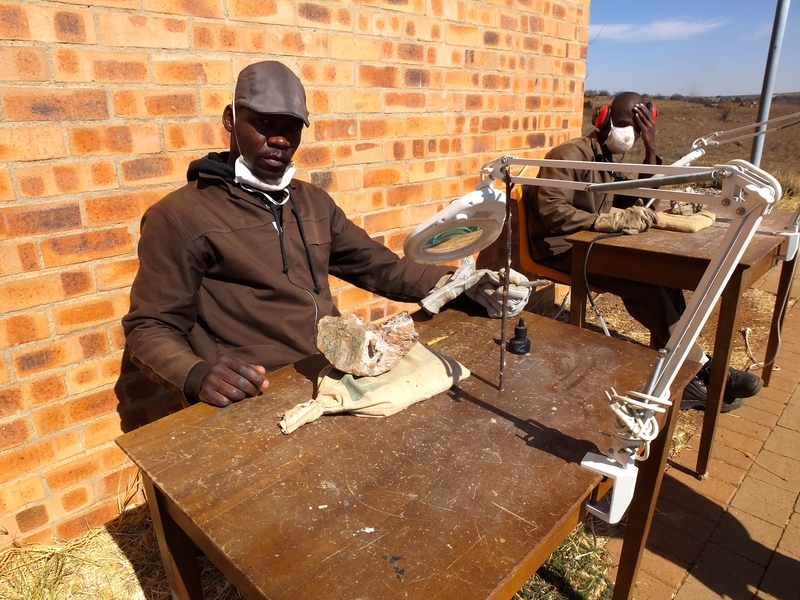 On our way to the museum, we passed scientists working on the excavation of baboon bones that had been found in the Sterkfontein caves. We stopped for lunch at a restaurant with a beautiful view of the sprawling hills behind the museum. The pricing for food here in South Africa is very different than what we pay in the U.S. An order of grilled prawns in a tomato broth cost only $5.50. We headed back to our B&B to get to bed early – our safari leaves tomorrow at 4:30 a.m.!! 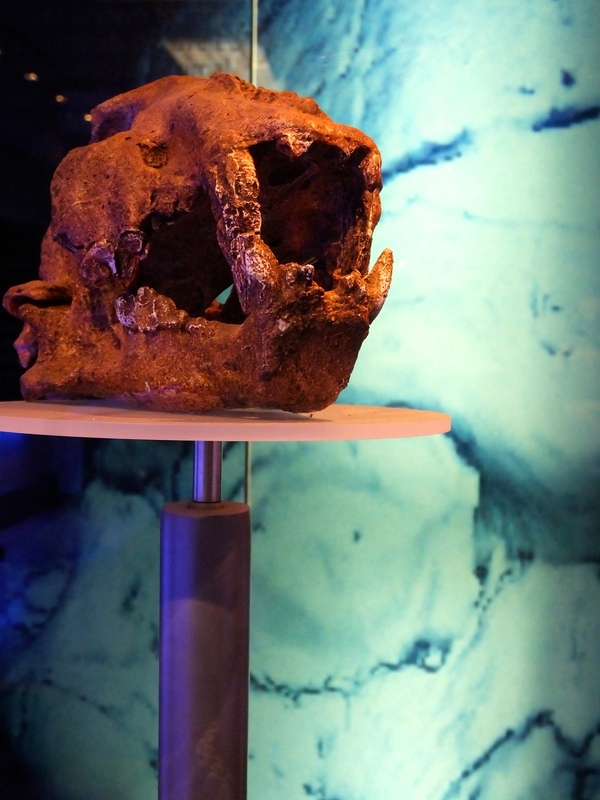 Scientists outside the museum were isolating baboon bones found within the caves. 18 Jul	This entry was published on July 18, 2014 at 7:22 pm and is filed under Fund for Teachers Fellowship - Southern Africa. Bookmark the permalink. Follow any comments here with the RSS feed for this post.